Two good looking, but interestingly different, fishing vessels were moored close together in Naskeag Harbor last Friday (April 12). 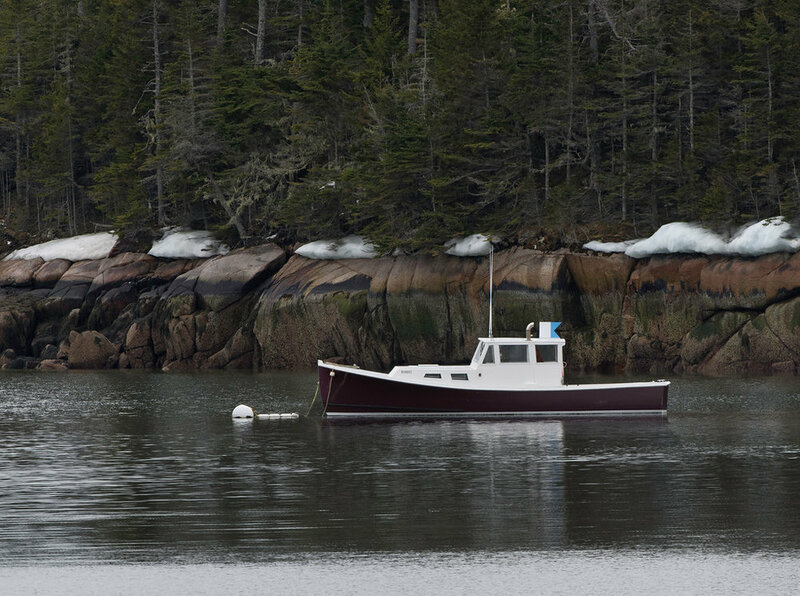 Both are lobster boats in summer and scallop boats in winter and spring. Dear Abbie: is trawler-rigged now with a mast and boom to work a bottom-scraping dredge that nets-in scallops. She also has a temporary “shelling house” just aft of the cabin, where the muscles from the mollusks (what we eat) can be shucked out with some protection from cold winds. Miss Millie, on the other hand, comes from another school of scallop fishing and has no such equipment.